DI Tom Thorne’s life is about to become more complicated. On the personal front, he and his partner Louise, also in The Job, are splitting their time between their two flats, their plans to buy a large one together on hold after Louise’s miscarriage months before. The strain of grief is taking its toll on both of them, their relationship strained and worsening. At work, he’s on edge, waiting for the verdict in a case that has become personal and difficult to prove: that high-powered Adam Chambers murdered the missing Andrea Keane, without her body being found. Worse is that Chambers has become a media darling. Into this tension steps Anna Carpenter, a new private investigator looking for a life different from the bank job she held before. Recent photos have surfaced that seem to be of Alan Langford, a wealthy career criminal who supposedly died ten years ago, handcuffed to the steering wheel of his car which was set afire in the midst of Epping Forest. Langford’s wife had been subsequently arrested for paying for her abusive husband’s death and has just been released from prison. Donna Langford is trying to reconnect with her teenaged daughter and start a new life with a female partner she’s met in prison. When these photos are anonymously delivered to her, Donna hires Anna to find the truth. Anna’s research finds Thorne sent Donna Langford to prison and she enlists his aid. When she shows up with the photos from Donna, she becomes attached to Thorne’s investigation by his publicity-seeking DSI, to his chagrin. Thorne loses the Chambers case, which contributes to his moody, anti-social behavior. The Langford case takes Thorne to Spain, with the tension building as the investigation heats up. His patience with Anna at times wears thin, but her honesty and outlook wear him down, and he finds himself drawn to the young woman’s joy of life. By the end of the novel, Thorne is surprisingly vulnerable, even as the twists and turns of the plot take their toll. This one has a climax you won’t see coming. By giving us Anna Carpenter’s point of view, Billingham ties readers to the amateur sleuth and how she views Thorne. His knack for describing small details in the life of his characters add texture and complexity that allow the reader to view them in reality, making him one of Auntie M’s favorite reads. This is compelling read, completely engrossing, and will keep you flipping pages to the unexpected ending. UK’s Sky TV has filmed some of the Thorne series and it’s to Auntie M’s regret that the series isn’t available here yet. But the books are so well written that Thorne leaps off the page satisfyingly and without the need of film. 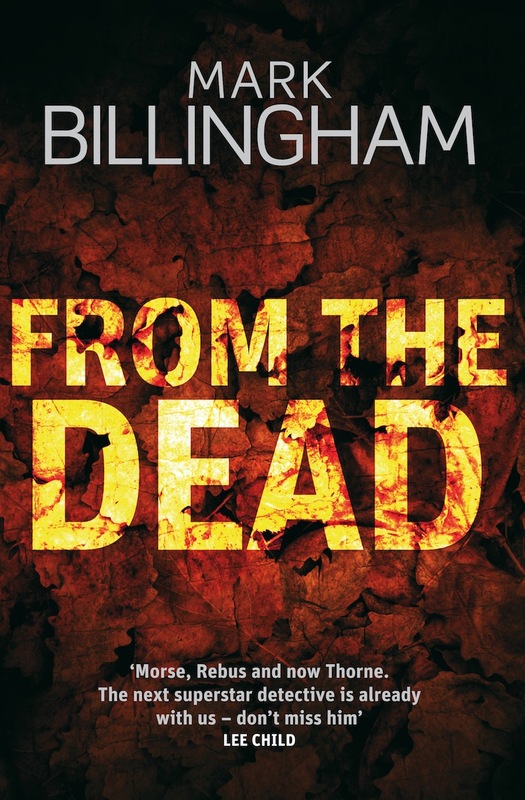 Billingham’s next in the Thorne series, Good as Dead, make number one in the UK and you can be certain Auntie M will be reading it soon. Glad you’re enjoying the series. Mark Billingham was unjustly labelled plodding and ‘laddish’* recently, which does match aspects of Thorne, but I think he’s a better writer than that. *Struggling to think of the American English equivalent of ‘laddish’, which I assume hasn’t crossed the Atlantic – slightly immature male behaviour.